Last Call for Halloween International Film Festival Submissions! The 2nd Annual Halloween International Film Festival returns to Kill Devil Hills, North Carolina this October 26-28, 2017, featuring independent films of all genres from around the world, followed by the 4th Annual Outer Banks Halloween Parade on Sunday, Oct. 29, where all attending filmmakers are invited as guests of honor. Original independent film submissions are now being accepted through Film Freeway., the leading online film festival platform (click here to submit now). The final Last Call Deadline for submissions is July 20. Films can be submitted in the Short Film category if 50 minutes or less, or the Feature Film category for those with a run time of more than 50 minutes. A DVD/Blu-ray can be submitted through the traditional mail but must be accompanied by a registration form, which can be downloaded here. Any physical entries should be mailed to 400 West Sothel Street, Kill Devil Hills, NC 27948, along with the completed registration form, and required submission entry fee. To date, independent film submissions have been received from a total of 10 different countries, as well as numerous entries filmed in North Carolina and throughout the U.S.
All Festival film screenings will once again be shown at RC Theatres Movies 10 in Kill Devil Hills, accompanied by nightly after parties, as well as costume contests, Scaryoke, special guest Q&A panels, and more Halloween events to be announced. The complete screening schedule will be released in late summer. Information on discounted hotel room blocks and advance online ticket sales will be announced soon. The 2017 Halloween International Film Festival will be followed by the largest Halloween celebration in Dare County, the 4th Annual Outer Banks Halloween Parade of Costumes and pre-parade party on Sunday, October 29 on the outside lawn at Kelly’s Restaurant and Tavern in Nags Head. The costume contest awards ceremony will follow the Parade. 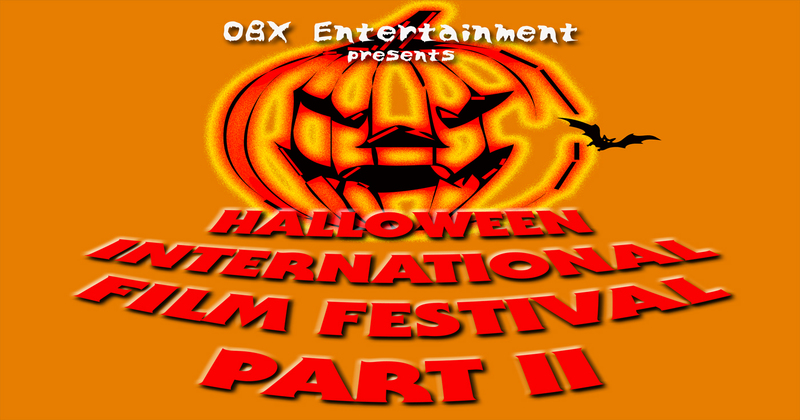 Updated details on the 2017 Halloween International Film Festival and the Outer Banks Halloween Parade can be found online at OBXHalloween.com. This event is sponsored in part by The Outer Banks Visitors Bureau, Gallop Funeral Services Inc., WOBR Pirate 95.3, the Outer Banks Sentinel, and Halloween Daily News. For all Halloween news, follow @HalloweenDaily. 2nd Halloween International Film Festival Returns to Kill Devil Hills! Halloween International Film Festival Now Taking Submissions!